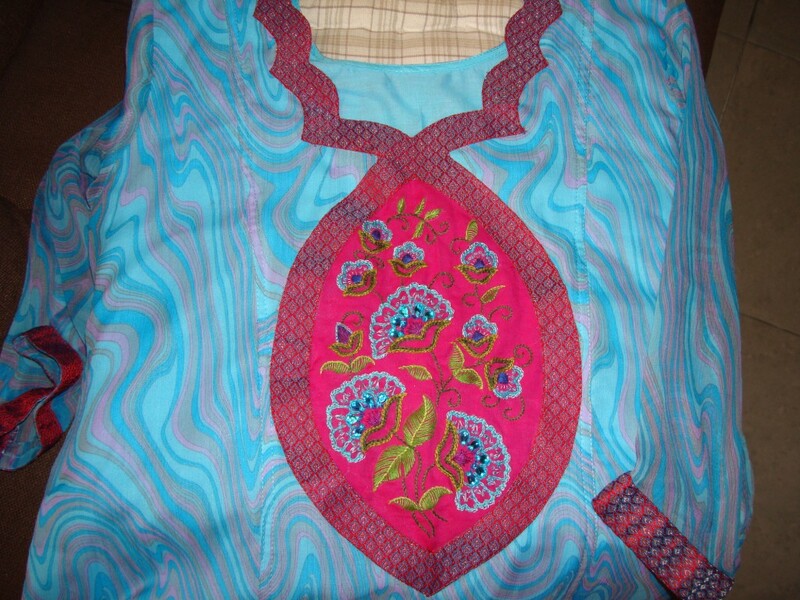 After completing the embroidery on this pink yoke, I started with the beads and stones in blue. The light blue colour stones a stitched to the interior petals of the big florals. The seed beads are used both for the small flrals and the outer petals of the big florals. 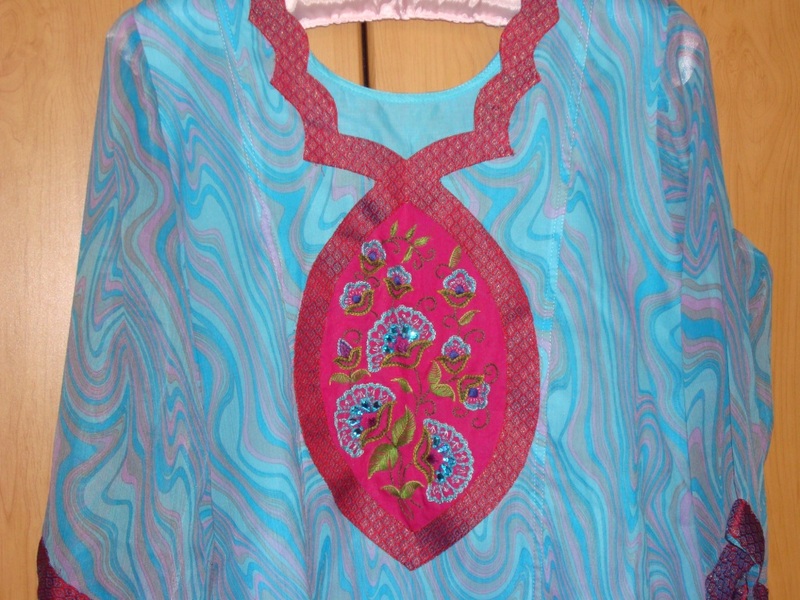 The tunic on next post. The outer petals of the flowers are done in same shade of blue as the inner petals. 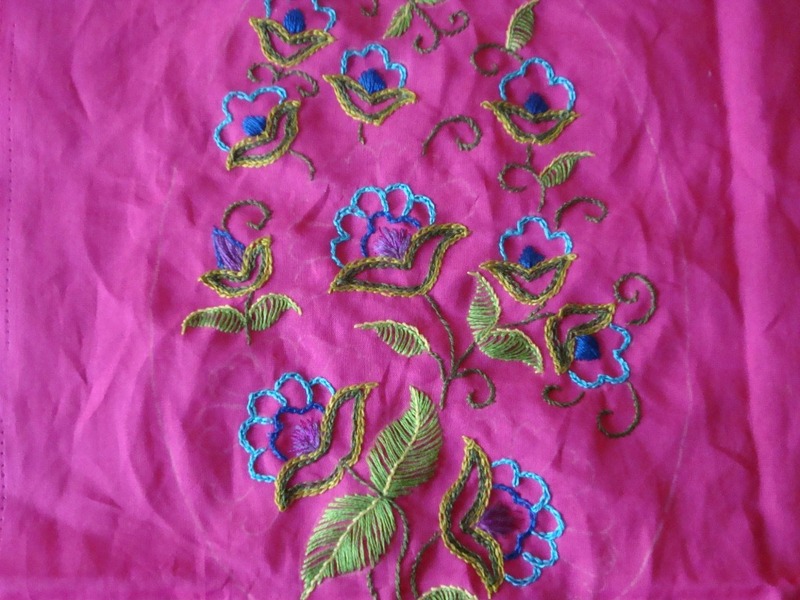 Then the same are outlined in blue silk thread . 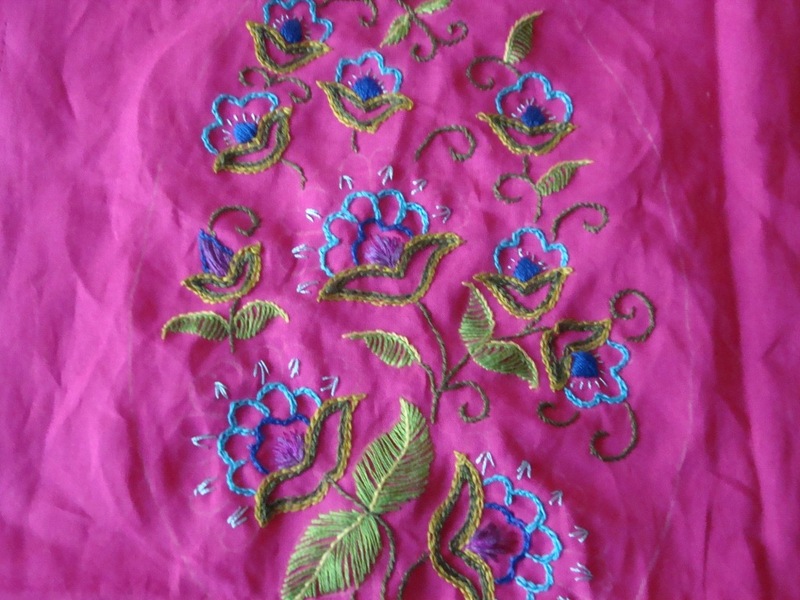 Chain stitches are used throughout these lines. I wanted to use seed beads for this pattern, with this idea in mind, the flowers are ready for placement of the beads. 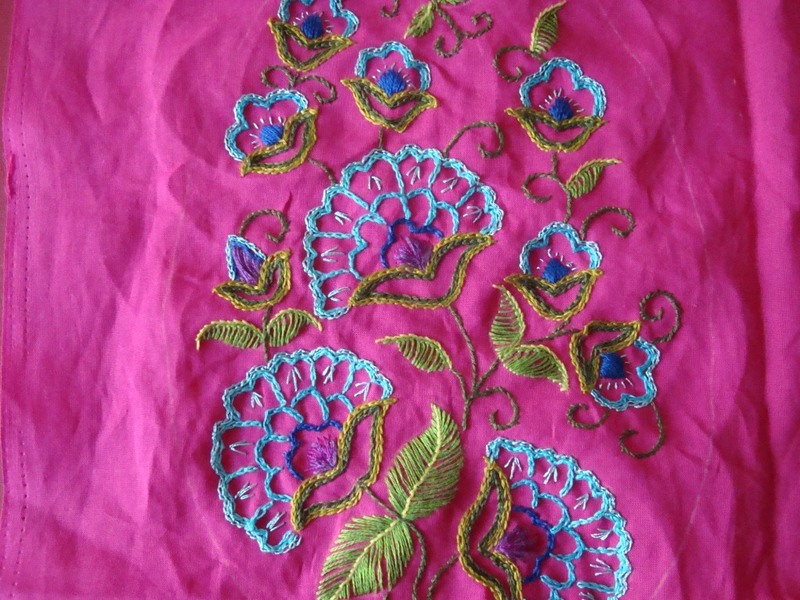 The fly stitches and straight stitches on the florals can be used later for stitching the beads. They are done in light blue colour. 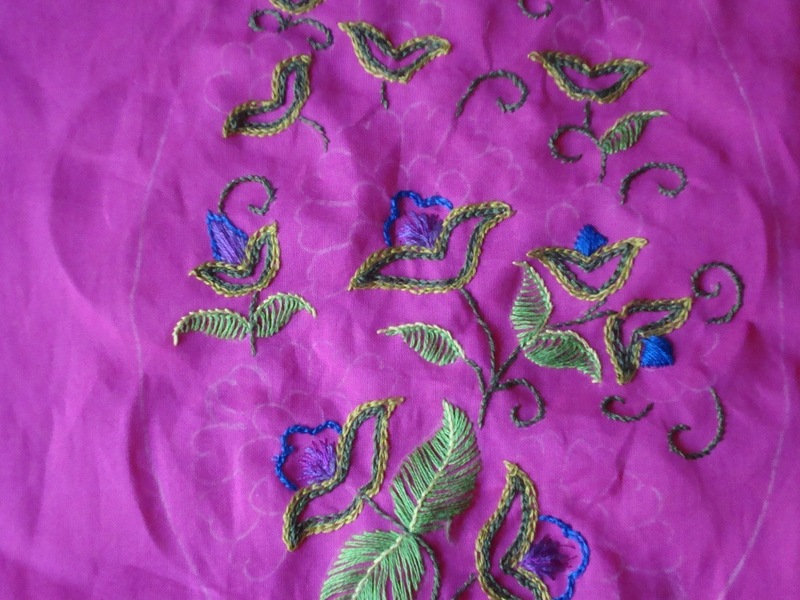 At last the I have started embroidering with the blue colour of the tunic. 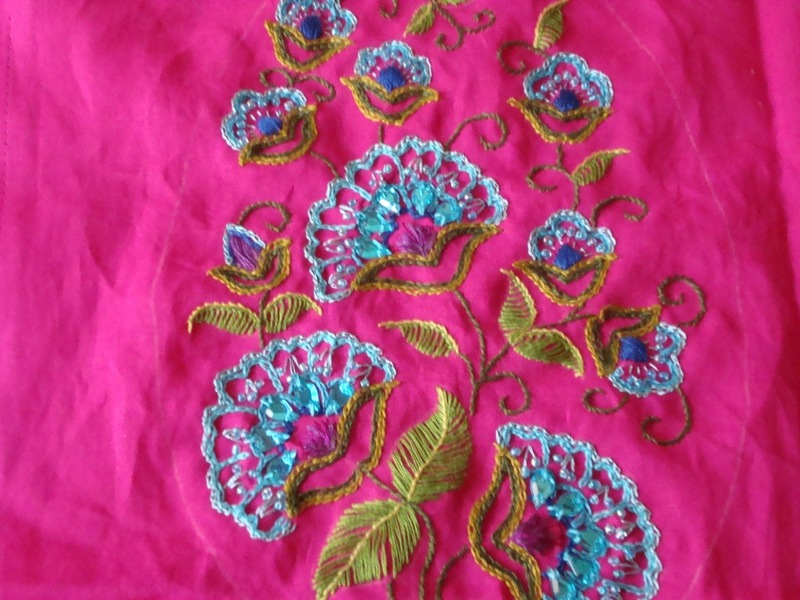 The inner petals are done in chain stitches. The inside of the calyx are done in darker shade of green. The central part of the flowers are done in dark blue. 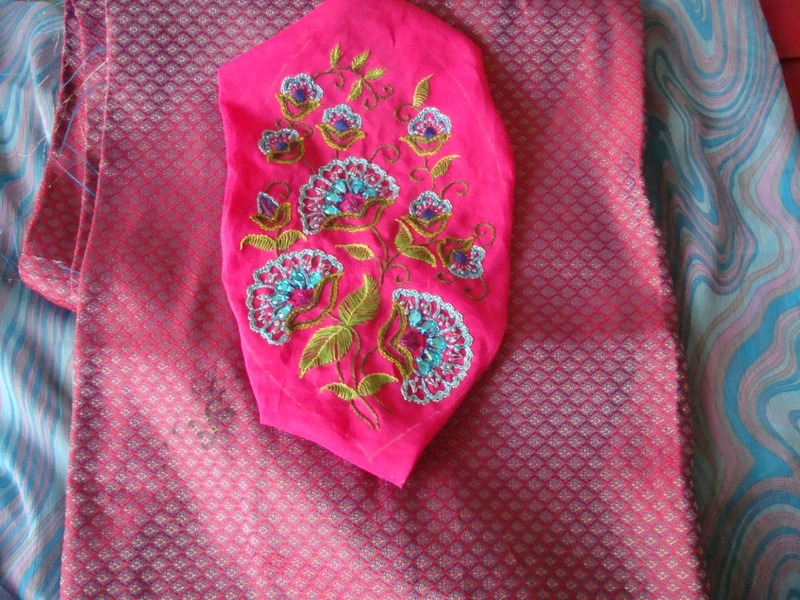 The stitches used is chain stitch. The stems are also worked in the same dark green in stem stitches.